Memorial Day is referred to as the unofficial start of summer, and I couldn't agree more. It is a day to gather together with friends and family to honor all Americans who have died in all wars. 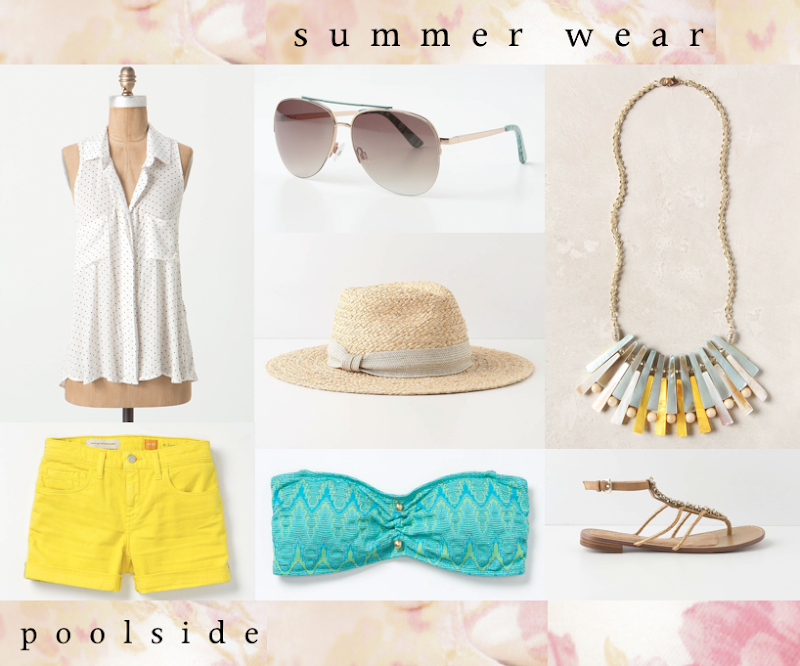 I know that for many, hitting the beach and enjoying a nice BBQ are on the list of celebrations, + from all the trends going around the blogosphere and social media sites lately, I wanted to join in on the fun and create a poolside look! I was inspired by wear that would both be comfy/casual and stylish when enjoying the outdoor festivities. Leave a comment below telling me what you think and and any suggestions for future collages you'd like me to make!